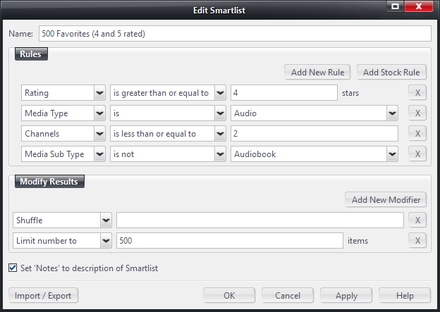 In addition to manual [[Playlists]] in Media Center, you can create Smartlists. A Smartlist is essentially a saved search. Unlike Playlists, you do not add specific items in a particular order, but instead define a set of rules that Media Center will use to dynamically update the playlist each time you open or refresh it.